Your home environment has a dramatic impact on your lifestyle, happiness, and general well-being. Improving your home doesn't stop at interior remodeling. Exterior structures and landscaping can pull in the entire design and functionality of your house and yard. From detached home offices, to decks and pergolas, to water features and ornamental plantings, Freeman Construction Ltd can build just about anything to help you realize your dream home environment. Emoh-Home Designers’ is a full-service, family owned, home remodeling company. Our Craftsmen offer a level of expertise, attention to detail, and in-home service that is truly authentic. For over 20 years (and in the same showroom since 1999) KC Cabinetry, has been specializing in residential design and remodeling including: kitchens, baths, and complete home remodeling. Offering full-service custom remodeling and renovation. We are a general Contracting firm with designers and craftsman that all have decades of experience and take great pride in producing truly custom kitchens at for a wide range of budgets. Our showroom is located at Broadway and C470 in Littleton Colorado. We work with you to develop timeless designs that will enhance the way your family lives in your home. We understand how personal a home improvement project can be, and we thrive on the relationships we create with our customers while we help them create the space they envision. Built by Krueger takes pride in being the general contractor that values client relationships. In addition to providing you the highest quality material and workmanship, we labor to build a relationship that endures as long as our homes. We have extensive experience working along the Front Range on custom homes, multi-family, additions and remodels. We love what we do! Contact us today to get started on your next project. KALIN CONSTRUCTION has the expertise to handle all of your construction needs, from working with the architect to managing the group of skilled contractors. A premier Colorado home builder for more than 50 years, Austin Signature Homes is one of the most well-respected custom home builders in Denver and the Front Range. With a true commitment to customer satisfaction, we construct homes with the highest level of integrity, craftsmanship, value and service. Our goal is simple - to build YOUR dream home. At Austin Signature Homes, we’re proud of our family-run business. When you choose Austin Signature Homes, you’ll partner with an Austin every step of the way—from preliminary design, to cost estimates, interior design, material selections and throughout the construction cycle. We are committed to staying within budget and managing the build time to get you moved into your home as quickly and effortlessly as possible. While we are best known for our signature custom homes, over the years, we’ve developed an unrivaled expertise in renovations, additions and full building scrapes. These capabilities can help you improve not only your home’s livability, but also its lovability and long-term value. With deep roots to the local area in which we live and build, our commitment to our clients extends to the greater community as well. In addition to helping found the Homebuilders Foundation of Denver, we are proud to support programs such as Habitat for Humanity. At Austin Signature Homes, our signature is everything. Colorado’s finest serving all of your home remodel and deck needs. We operate from Colorado Springs all the way to Fort Collins. Customers are our top priority. TMD Custom Builders is a custom home remodeling and building firm. TMD has been delivering custom projects to it's clients since 2008. Through TMD's attitude of service, a commitment to communication, providing high quality products and workmanship, and maintaining positive relationships—TMD is built to provide the best custom construction experience possible. We are a full-service building company that specializes in the development, design and building of quality customized homes, dynamic renovations and light commercial projects. 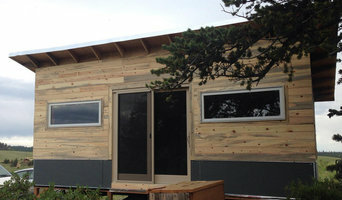 Mountain Log Homes of CO, Inc. Custom Home Builders of Quality Machine Milled & Hand Crafted Log and Timber Frame Homes in the Colorado Rocky Mountain Region since 1988. Over 25 years as General Contractors specializing in all aspects of Mountain Resort, Rustic, lodge Style Custom Homes. Multiple time winner Summit County Parade of Homes. We also offer full remodel and renovation services with our in-house interior design and decorating team. Preferred Builder for Pioneer Log Homes of B.C., Rocky Mountain Log Homes, and High Country Log Homes in the Colorado Ski Resort Communities surrounding Breckenridge and Vail. Full Service General Contractors. Each project is unique and our approach is as individual as our clients to fit your specific needs. Our experience, training and knowledge help us to complete your project on time and within budget. Formed in 2010, Denver Design Build has sought to be different since its inception. Our commitment to a detailed and thorough process, whether in estimating, pre-construction, design, or through construction itself, sets us apart as a company, helping to make us more accurate, and efficient, and to ensure a high standard of quality. This approach has proven exceedingly successful. While the company started primarily in the remodel sector, we quickly grew to include new-build and large-scale commercial projects, as well. Colorado Business Magazine has named us among the top 250 private companies in Colorado for both 2013 and 2014, among numerous other nominations and awards accredited to the firm in the past several years. These days, Denver Design Build has a Residential Division, and Commercial Division, both with their specialties, allowing us to offer a high level of service and knowledge, no matter the project type. Precision Builders and Remodelers, Inc. can turn your house into your dream home. From kitchens and bathrooms to custom decks, let us turn your dreams into a reality. Colorado owned and operated for 15+ years, we perform all levels of custom home build and remodeling. We strive for high quality services and excellent customer satisfaction. Contact us today! 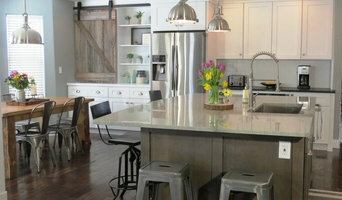 A custom construction and remodeling company serving Boulder County. We have developed and preserved long-term relationships with clients by understanding their needs and maintaining our reputation of excellence and honesty while creating quality and timely solutions. *Authorized Woodharbor Cabinetry Dealer* Hawk Construction, Inc. a is full service residential remodeling General Contractor. Our ability to complete projects from design, product selection, and construction through final inspection utilizing our in house designers and design center saves time and expense for our clients. This ability improves scheduling of products to the job site, communications with the construction personnel and establishes accountability with a single source of contact. When you work with the skilled and knowledgeable team at HC Construction, you can rest assured that you are getting the highest-quality work for the best prices. Awarded Residential Architecture Firm of the Year 2016, Rodwin Architecture is the leading design / build firm located in Boulder, Colorado. We are known for our creative excellence, friendly, responsive service, and expertise in sustainable design. Rodwin Architecture offers complete architectural, interior and landscape design services and has a proven track record in planning, feasibility, construction management and development. We are experienced in both residential and commercial projects of all sizes. Our work is primarily located in Colorado and the Rocky Mountain region, but we have completed projects from coast-to-coast. Every project receives the full attention of our Principal, Scott Rodwin. As you review our diverse portfolio, we hope you will recognize the consistent traits of beauty, simplicity, creativity, sustainability, harmony and integrity that we use to guide every design. We look forward to helping you design and build your dreams. At Accent, we not only deliver superior construction quality and award-winning dynamic designs, we put our clients first with unparalleled building solutions that save money, time and hassle. D&G is a custom-basement finishing company owned by Colorado-natives, Darren Dinkel, general contractor and Gina Palombo. With nearly 30 years of combined builder experience, Darren and Gina, along with their team of home experts, have a passion for construction and basement finishing that is reflected in each and every finished project. D&G specializes in custom basement finishing. With tailored designs led by D&G’s in-house design team, clients are presented with 3D design options that reflect their vision, lifestyle and budget. D&G starts by creating a basic basement layout, then customizes the space by adding one-of-a-kind finishes and design elements to create the modern, traditional, entertaining, relaxing, etc. space the client seeks. D&G is committed to the client experience. This means, every client will feel confident with the D&G custom-basement finishing process. With a detailed timeline and budget, the client will be in-the-know every step of the way. Providing an in-house design team and showroom, D&G makes it easy to customize your basement design and choose finishes along the way. Building Homes, Building Trust. With 50 years of combined construction management experience, Jackson Design Build's executive team has helped build thousands of residential and commercial projects valued at hundreds of millions of dollars. Dave Jackson has been building custom homes and renovating existing homes since 1980. Billy, Dave’s son, joined the company in 2013 after gaining extensive experience with large commercial builds to continue the company’s legacy of fine craftsmanship and exceptional service. Clifford's Custom Remodeling LLC can help with a diverse range of services. Consider us a source for solutions or guidance. We fulfill handyman type tasks as well as small remodel projects. Handyman projects have included trim carpentry, drywall patching, interior painting, tile work, caulking, light fixture replacement, shelving projects, closet redesigns, garage storage solutions, countertop installs, deck services, and more. With an experienced team of 3 we have remodeled bathrooms, fully modified a sun room, and worked on many deck projects. 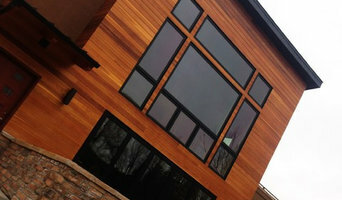 SoBo Homes is a residential design/build construction firm located in Boulder. SoBo’s story starts long before its official inception in 2003. The common thread between all the members of SoBo’s team is a deep passion for residential construction. We specialize in residential remodels and additions just in Boulder. We love to breathe new life into older existing homes. Here at SoBo Homes, our mission is to sustain a reputable company that performs residential remodels in and around Boulder. Collaboration with enjoyable people is our method to create thoughtful spaces. We draw on our honesty and integrity to achieve fulfillment for our clients and ourselves. Our mission is to sustain a reputable company that performs residential remodels in Boulder. Collaboration with enjoyable people is our method to create thoughtful spaces. We draw on our honesty and integrity to achieve fulfillment for our clients and ourselves. 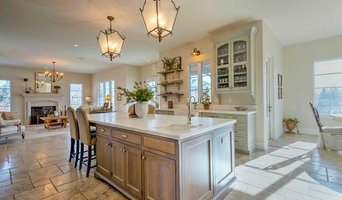 If you're on the brink of a large home improvement project, remodel, or new build, you'll likely want to hire a general contractor in Indian Hills, CO. These professionals manage all aspects of the job to ensure it's completed on schedule and to your satisfaction. Whether you’re trying to find Indian Hills building contractors for a new construction, or home improvement contractors to spruce up your existing place, it’s important know exactly what role they will play in the project. Read more below for a list of must-ask questions. General, or construction contractors, are often known as project managers. They oversee the entire remodeling or new home construction project and facilitate all day-to-day tasks that move it toward completion. A Indian Hills general building contractor will work with your architect to review plan as you build a house and ensure everything is in place before work is started as well as arrange for permits and necessary inspections. While good local home improvement contractors in Indian Hills will have the skills to handle certain tasks onsite, such as carpentry, he or she is also responsible for hiring subcontractors for the majority of jobs, such as electrical work, painting or plumbing. In addition, the general contractor should be on-site regularly to inspect the progress and resolve issues. Here are some related professionals and vendors to complement the work of general contractors: Architects & Building Designers, Interior Designers & Decorators, Landscape Architects & Landscape Designers, Kitchen & Bath Designers, Specialty Contractors. Home remodeling contractors are a must for successful completion of a renovation. Because of this, it's essential that you do your homework before deciding on the right general contractor in Indian Hills as you remodel or build a house. Inspect bids carefully. Was it ready when the contractor promised it? Was the bid for building a home unusually high or low? Each of these things can be very telling: A late bid may reflect timing standards, and an off-the-mark bid could be code for a pricey premium or a deliberate underbid to score the remodeling job. 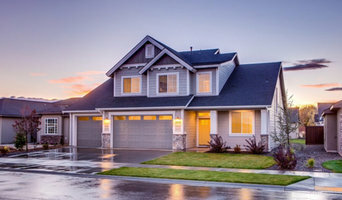 You should call references, carefully read reviews and visit completed projects in Indian Hills, CO to see if they’re what you expect for your job. Once you do secure your local Indian Hills contractors, read the contract very carefully to be sure everyone is on the same page. Find an Indian Hills contractor on Houzz. Narrow your search in the Professionals section of the website to Indian Hills, CO home contractors. You can also search for photos in Indian Hills, CO and contact the Indian Hills general contractor who worked on the project.